Jeju Island is the famous Korean's volcanic island and it has warm climate for all year around. 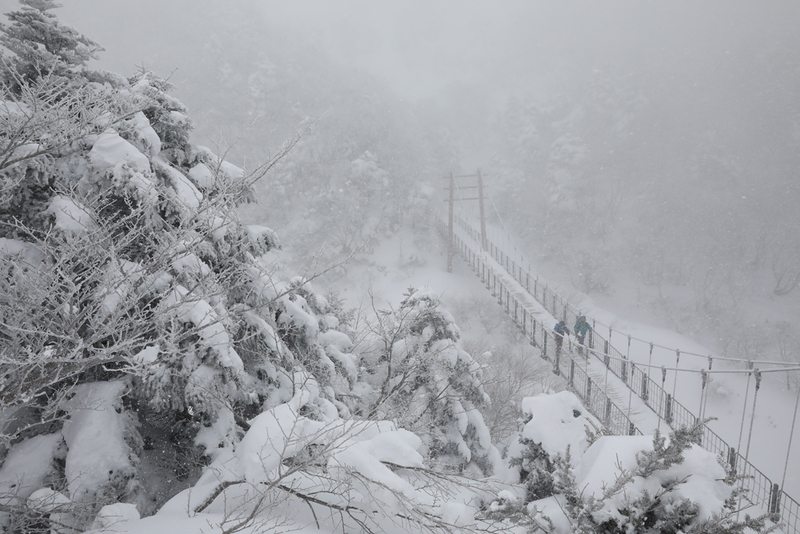 However there's the highest mountain in South Korea, Mt.Halla in Jeju Island and it has the second most snow fall in South Korea. It means oh yeah you can enjoy backcountry skiing on Mt.Halla. Also it takes only one hour from Seoul to Jeju Island by flight so you can enjoy backcountry skiing in Jeju Island and come back to Seoul in 24 hours. That's why this video is named '24 Hour Illusion'.Backcountry skier in high concrete jungles in Seoul city goes to Jeju Island to enjoy backcountry skiing in 24 hours. It's not a dream.You can do it in Seoul of South Korea. 24 HOUR ILLUSION from TeaMax Adventure on Vimeo.